It is the hardest seal face material with excellent abrasion resistance, high thermal conductivity and low coefficient of friction. It also retains its strength at temperatures as high as 1400 deg.C and offers excellent wear resistance and thermal shock resistance. 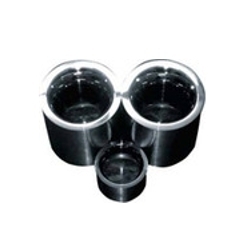 Clients can avail from us a wide range of Silicon Carbide Bushes. They are used extensively where contamination from oil or grease Is undesirable. These are manufactured from high quality raw material. 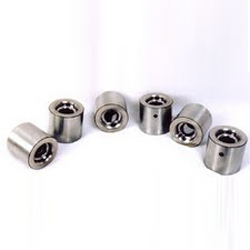 We offer our range of Silicon Carbide Bushes at market leading prices. In a close association with the national standards and norms, our company has been engrossed in offering Carbide Bush. Due to the presence of our efficient professionals, we have been able to provide an excellent quality array of Carbide Bush. Offered products are strictly checked before being delivered. Our name is enlisted amongst trusted and leading companies for manufacturing Carbide Bush.